With only about 4 months between Aconcagua and Mt McKinley in Alaska (also known as Denali or ‘The High One’), I knew I had a LOT of training to do. McKinley is serious. McKinley is proper. McKinley is cold (some say the coldest mountain in the world). McKinley is technical. I was scared which I think was a good thing as it made me train like an animal. 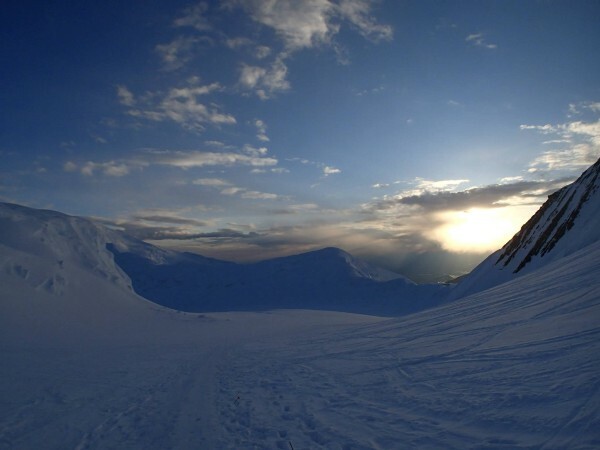 One thing which played on the back of my mind is the fact that as McKinley is so close to the North Pole (200km from the Arctic circle), the air was significantly thinner than other more equatorial mountains. This meant that when gaining altitude we needed to compensate for this thin air by adding a few thousand more feet to our altitude readings so we would understand how our bodies were adapting to the lower oxygen levels. (i.e. 4000m on McKinley is like 5000m on other mountains). With the flights and cold specific equipment purchased, I headed to Anchorage via New York and Salt Lake City. 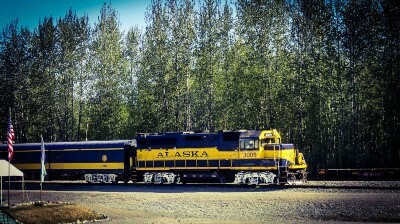 The team met in a Best Western hotel on the outskirts of Anchorage. After introductions and equipment review we bought any more required gear and headed out for beer and pizza to get to know one another and enjoy our last kitchen cooked meal. 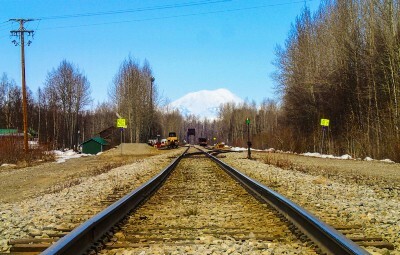 The next morning we drove three hours to a small town called Talkeetna. 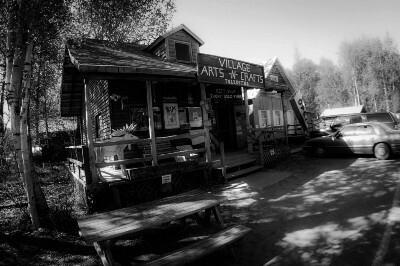 An amazing quirky little country town in the forests before Denali National Park. 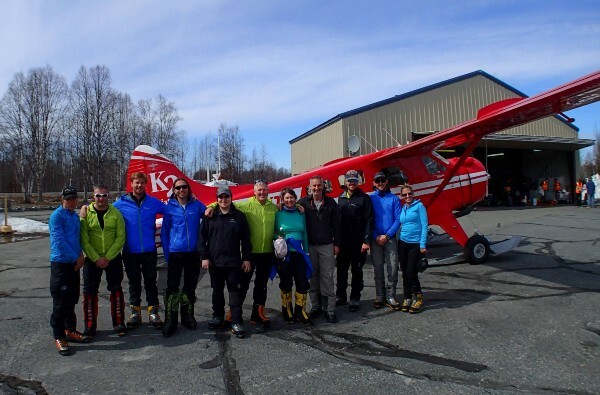 We drove straight to the little airport, changed into our double plastic boots which we would be wearing everyday for the next three weeks, sorted our gear and loaded it onto the two turbo prop planes and took off over the swampy marshes which lay before the massive frozen Denali National Park. The flight in itself was amazing, skimming around jagged icy peaks and weaving our way through gaps in the mountains until we got to ‘One shot pass’ a mountain pass which needed altitude and speed to get through, once you’re committed there’s no pulling out. 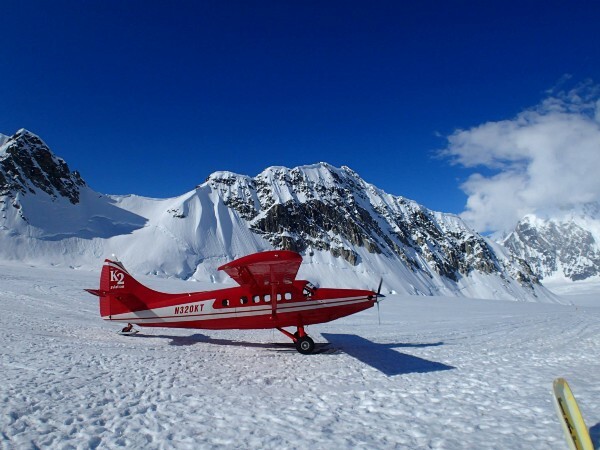 We broke through the mountain pass into of massive expanse of white which was the Kahiltna glacier where the expedition begun and also our runway where we would land. 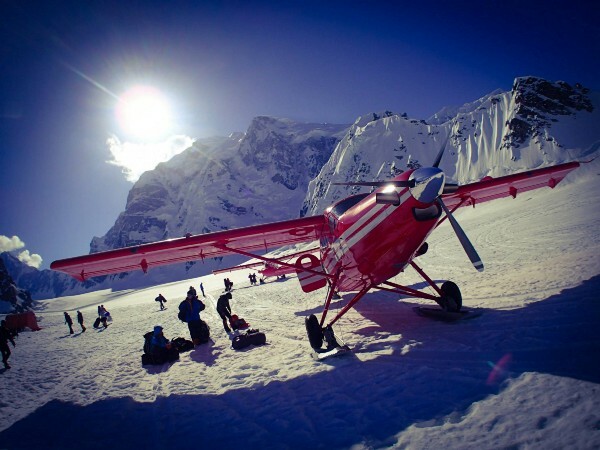 After a loop over Base Camp, we touched town on the glacier, skidded up to Camp and unloaded all our gear. 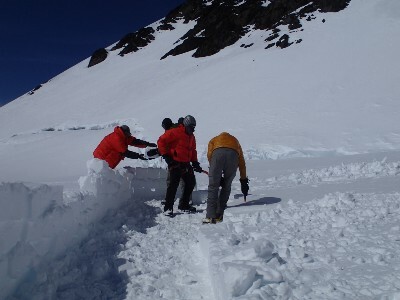 We built camp and dug very deep holes (due to snow digging ravens) in the snow to ‘cache’ any gear or food we wanted for when we returned. The cache included clean underwear, beer and whiskey, all the important things. 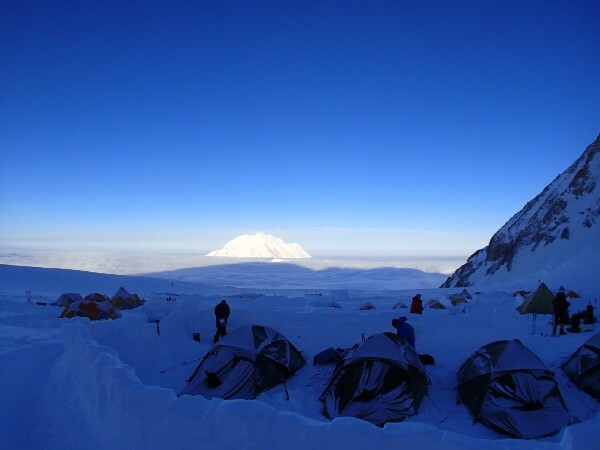 We then assembled our tents and went to sleep for our first night on the ice. 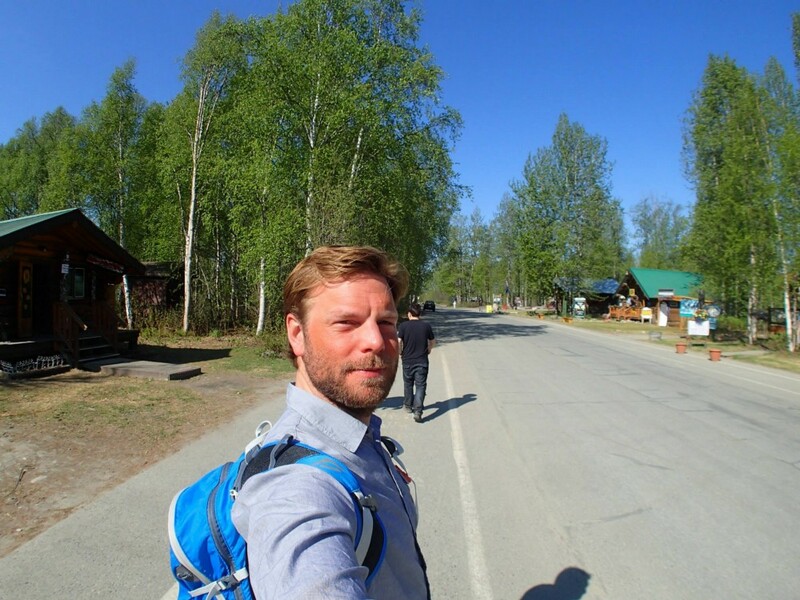 One good thing about climbing up near the Arctic Circle is that it never really gets dark therefore head torches were not a requirement on this expedition. Sounds like a trivial thing but helps a lot when trying to do anything at night or early mornings. 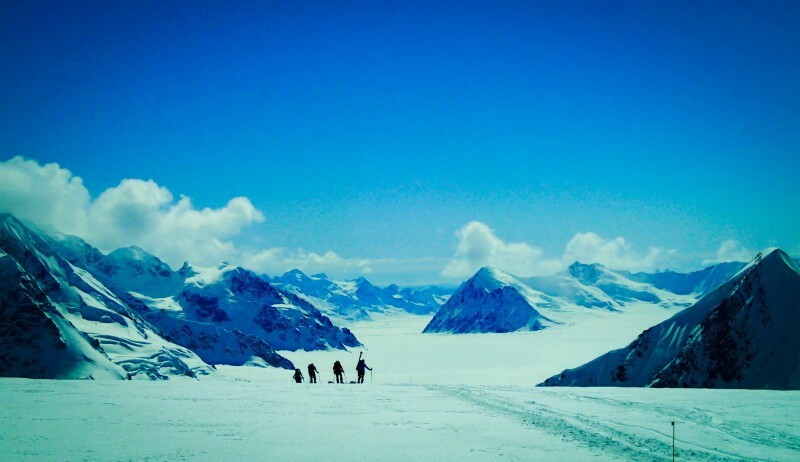 The next few days we snowshoed across and up the glacier stopping at a camp along the way. Once again we carry/moved but this time as we were on ice and snow from the outset we were all roped together to save anybody who could fall into a crevasse, wearing snow shows to make it possible to move over deep snow, and pulled sleds with 25kgs of equipment we would live off for the next three weeks plus the 30kg packs we had on our backs. It was tough but slow and steady. 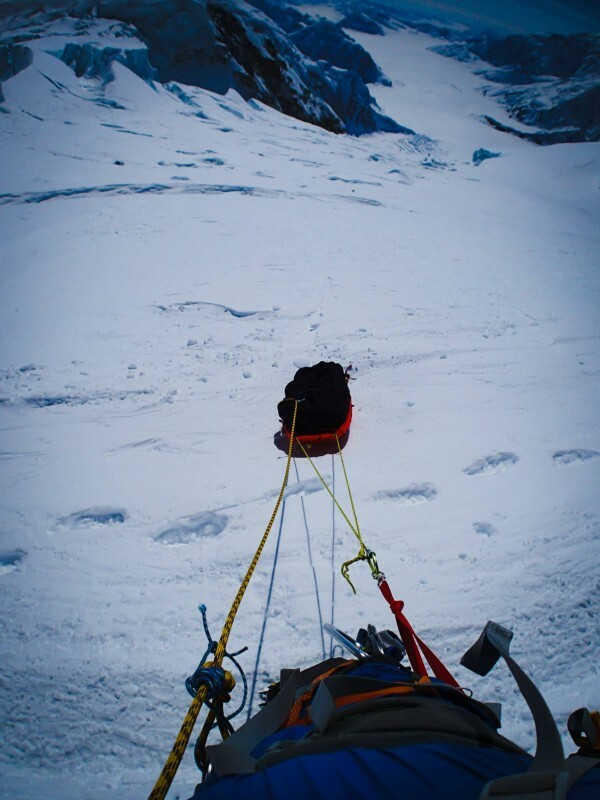 As most of our time was spent crossing glaciers we were roped into three teams 100% of the time. Anything we stepped on could have been a ‘snow bridge’ over a gaping crevasse so we had to be careful. Our lead guide probing the ground as we moved forward checking for soft spots. Over the next few days we made it up to Camp 2 where we were trapped for 6 days due to a storm which had blown in. 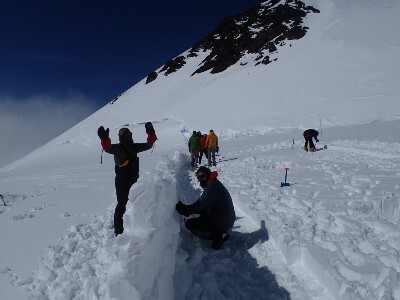 It was not possible to continue up and not possible to drop down to collect our cache which we had buried days before. On day 4 we had to make a decision to go get the cache as we were running out of food. We assembled a light and fast team of about 5 of us to drop down to get our remaining gear and food. 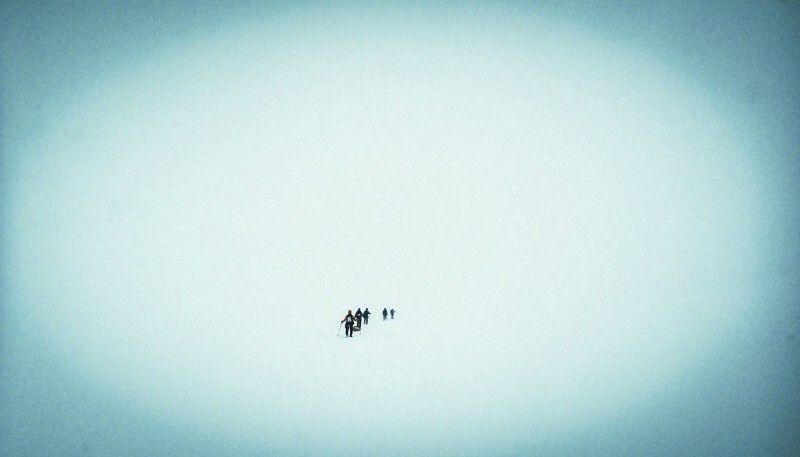 It was a complete white-out, freezing cold and snowing hard. Without our guides we could have walked off in any direction, off a cliff, into a crevasse field etc. but with their expert knowledge, we made it down to the cache, dug up the gear, loaded our packs and sleds and brought it back up to camp where we spent another two days before the weather and winds started to clear. I will never forget how cold it got at this camp. When this bad weather was all around us I woke up one night and my eyes were numb, I touched them and they were freezing cold and solid they seemed to be freezing in their sockets! I made a point to sleep from then on with my head completely covered in layers of material. Each night I would wake up to find the entire inside of the tent frozen solid. 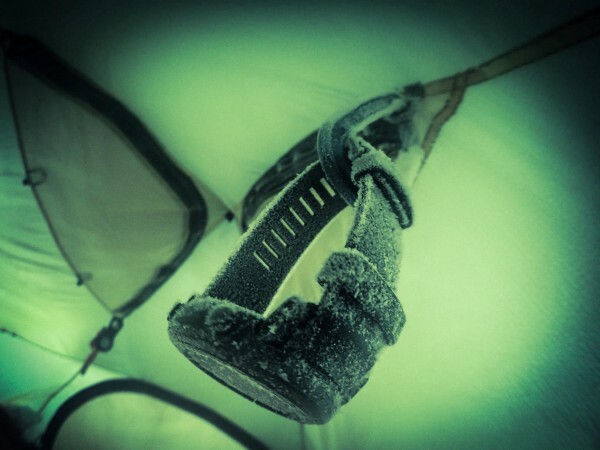 The moisture came from our breath and would then condensate on the ceiling of the tent which then froze instantly. Every time we bumped the walls it would snow inside our tent. Temperatures were as low as -30c over these few nights. Camp 2 after days of bad weather we finally see some blue sky. Sadly the man who build the snowman at the start/end of the video passed away due to heart attack two days later on a point called ‘Windy Corner’ which, after ‘Squirrel Hill’ was our next major hurdle. 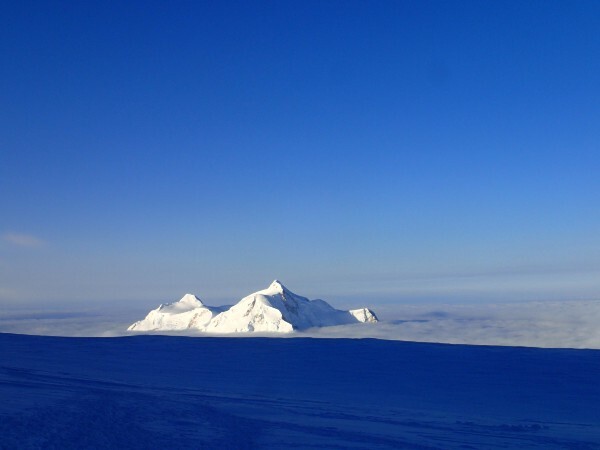 After the weather cleared, despite losing a significant amount of days, morale being low and us all suspecting we have lost our chance as our summit window was down to a day or two by now, we packed up camp and pushed on. The slope we climbed up had an avalanche a year earlier which unfortunately claimed the lives of four Japanese climbers. Two of them were still buried under our path somewhere. The mountain cast a giant ominous shadow into the sky as we climbed higher which made for a quiet, fast and focused climb that morning. We carry/moved the next few days without issue. The weather was pleasant (albeit cold) and we were climbing well. We moved up Motorcycle Hill, Squirrel Hill, The Polo Field and around Windy Corner without incident. Dragging the sleds around Windy Corner was tricky as they were pulling on us sideways desperately trying to rip us from our trail down into a crevasse filled glacier below. 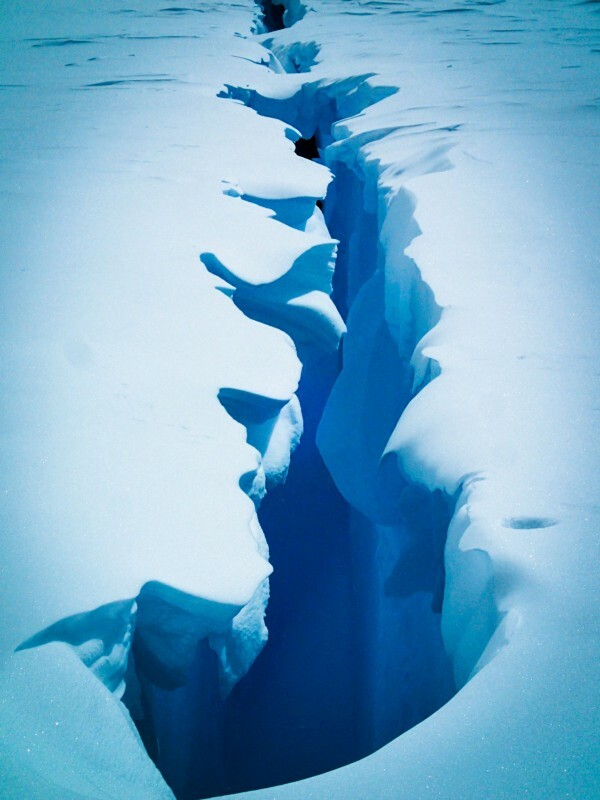 Not to mention the yawning crevasses we had to move over on the way to the next camp. 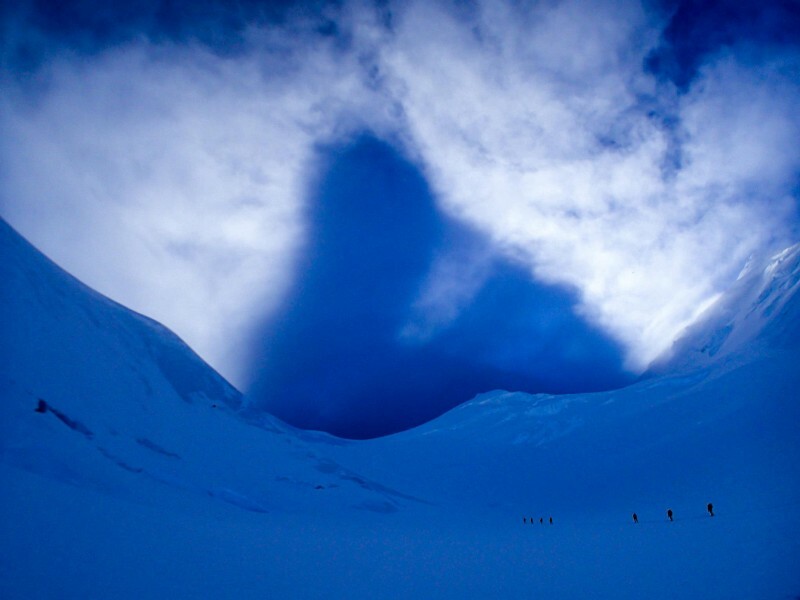 We got to Camp 3 (Basin Camp) with all our gear and the team were feeling good. The weather had held and after building camp we settled in for a days rest to ponder what was ahead of us. THE HEADWALL. 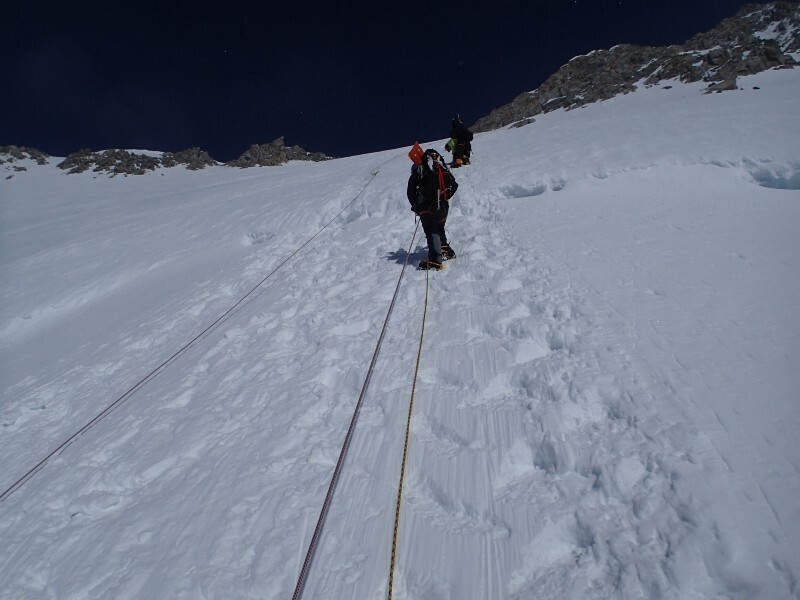 The Headwall was the reason Denali is great training for Everest, it is like a mini Lhotse Face where we use fixed lines and climb up an incredibly steep slope of crevasse riddled ice. 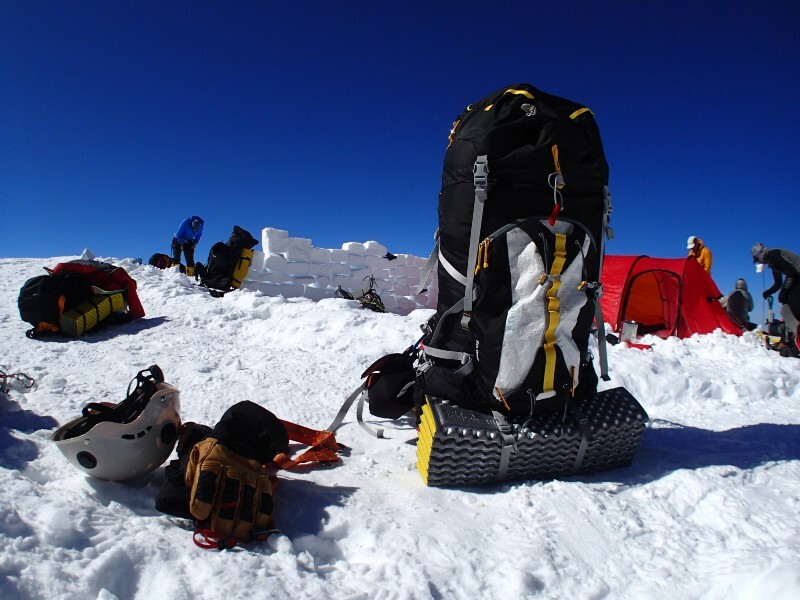 Our sleds were left at Camp 3 as where we were going was no place to be dragging things behind you. The wall was tough and strangely hot! Despite the freezing air the sun beaming down on us fried us whilst slowly scaling this reflective wall of ice. After two days of carry/move up the Headwall we scaled a sharp rocky ridge for a few more hours until we arrived at our last camp, Camp 4. Exhausted after a good 10 hours of climbing we dumped our gear, unpacked the saws and shovels and yet again had to ‘build’ our camp-site out of the ice. This involved at least 2 hours of cutting out blocks of ice for building protective walls and also levelling out areas for the tents. This is a practice we had to do at each camp however the Camp 4 work was particularly tough. 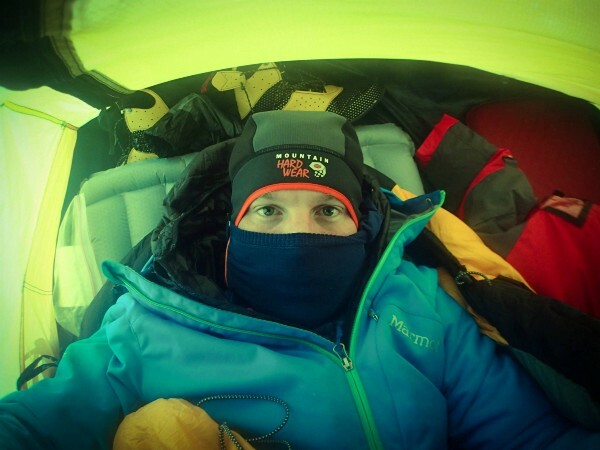 We spent the next day resting as there were high winds on the summit and the next morning at around 7am, we left the safety of our Camp 4 tents and begun our 12 hour summit attempt. Summit day was difficult. We started slow as our first objective was to head up a steep slope which had stranded climbers blocking up the fixed ropes. We spent over an hour in the shade of the mountain not moving waiting for these climbers to unclip and make way for us. I suppose this is what they call a traffic jam. This was the closest I got to frostbite on this expedition as my right finger tips felt like they had completely frozen through and the lack of movement only made the situation worse. Even to this day I don’t have all the feeling in two fingertips on my right hand. After the traffic jam cleared we slowly moved up past each way-point adding layers of clothing and consuming as many calories as possible until we found ourselves at the final obstacle before the summit ridge. It is known as ‘Pig hill’ a hill which takes you up onto the summit ridge. At this altitude (6000m + thin air compensation) the hill was a pig indeed. I needed to gasp for air every step and I thought it would defeat me, once again I felt like I was slowing my rope team down and was beginning to think I had failed. After pressure breathing with anger up Pig hill, we made it onto the summit ridge. 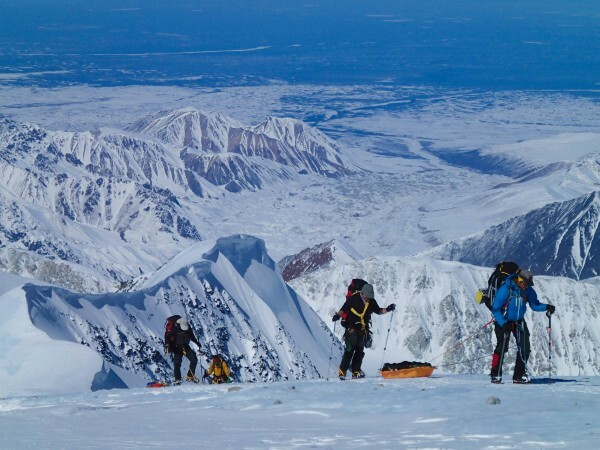 The sky was blue, winds were low and we slowly and carefully stepped along the ridge line until we found ourselves at the highest point of North America, the summit of Mt Mckinley. 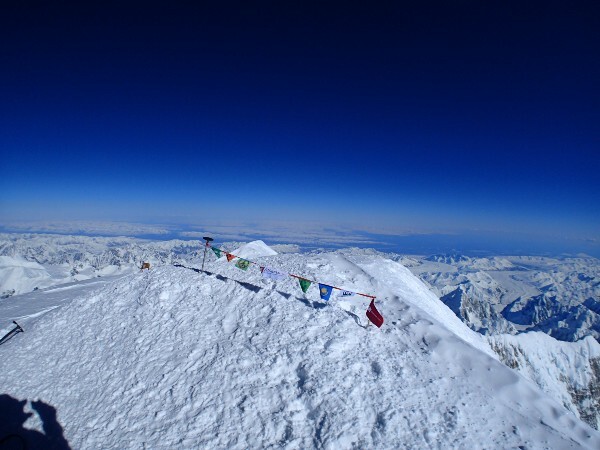 I summited Mt Mckinley (6194m — the highest mountain on the North American continent) around 14:30 on the 26th of May 2013. 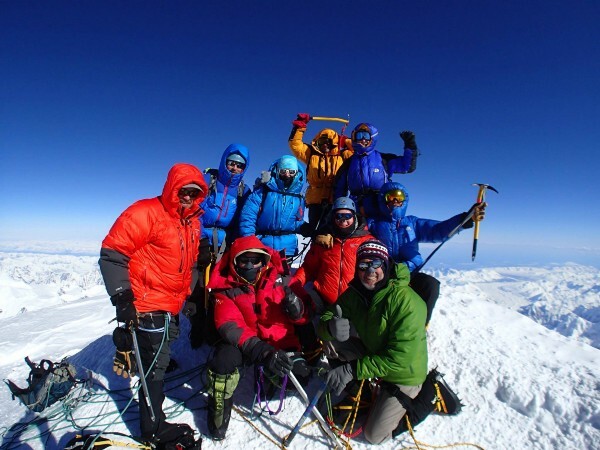 The three rope teams met on the summit and we were elated. Over the few weeks on this mountain we all became very close friends and we were genuinely stoked that we (minus one) had made it to the top together. Me on the right with the outstretched arm. I personally think Daniel’s crooked glacier glasses ruin the shot. After many photos and hugs we headed back down to Camp 4. We arrived back at camp around 7pm where our one remaining team member and guide were waiting for us with warm flasks of hot chocolate. 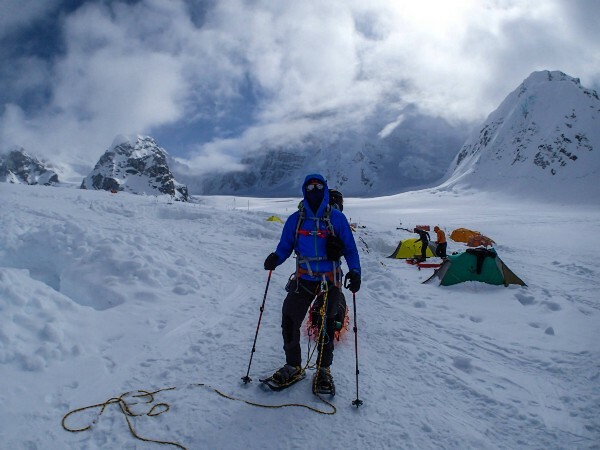 We all slept well (for 6000m) that night, woke the next morning, rammed our packs to the max and made the long climb along the rocky ridge, down the Headwall back down to Basin Camp 3. A maxed out 105L pack ready to cart back down to Camp 3. 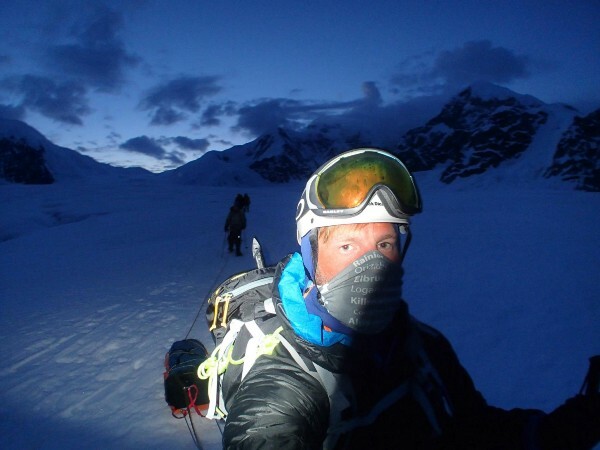 Upon arriving in Camp 3 we ate some food, rested for a few hours then spent the next 12+ hours trekking through the night all the way back down to Base Camp on the Kahiltna glacier. We stumbled into base camp a little worse for wear, we had nothing left in the tank and the final obstacle was ‘Heartbreak hill’ which was a hill we started down at the beginning of the expedition, obviously it was heart breaking to have to trudge up a hill on the last leg of the expedition. 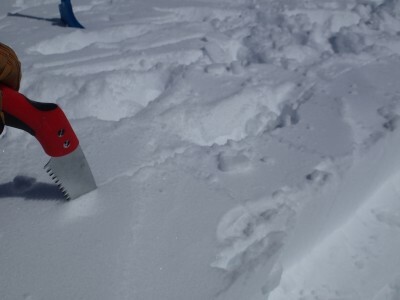 When we arrived we dropped our packs, untied our sleds and dug up that cache which had been waiting for us for three weeks buried under 6ft of snow. We spent the next few hours drinking the cached beer and whisky (in which we all got completely hammered) and waited for our plane to pick us up from the glacier. 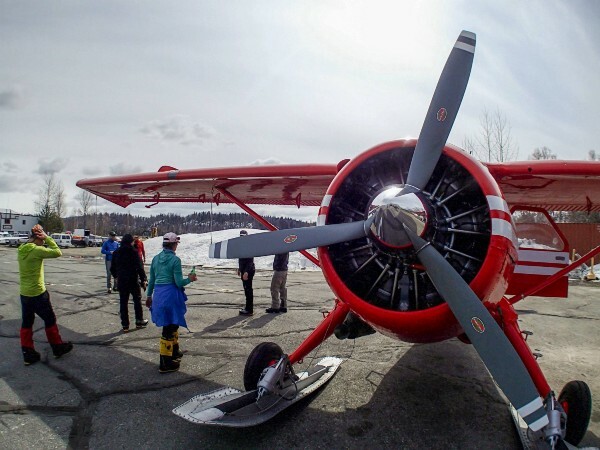 I don’t remember taking off (probably due to the booze and exhaustion) but I do remember how the white icy mountains gave way to colours I had not seen in weeks, the greens and browns of forest and marshes found just before Talkeetna airstrip. After touching down a the airstrip, we quickly collected our gear and raced back to the hotel for that long awaited shower. We then hit the town ready for food and beer. The three week expedition on McKinley, although more technical, involved and difficult than Aconcagua seemed easier overall for me. This is no doubt from what I learned whilst in Argentina. I don’t want to think what type of hell I would have gone through on McKinley had I not mentally and physically prepared on Aconcagua. 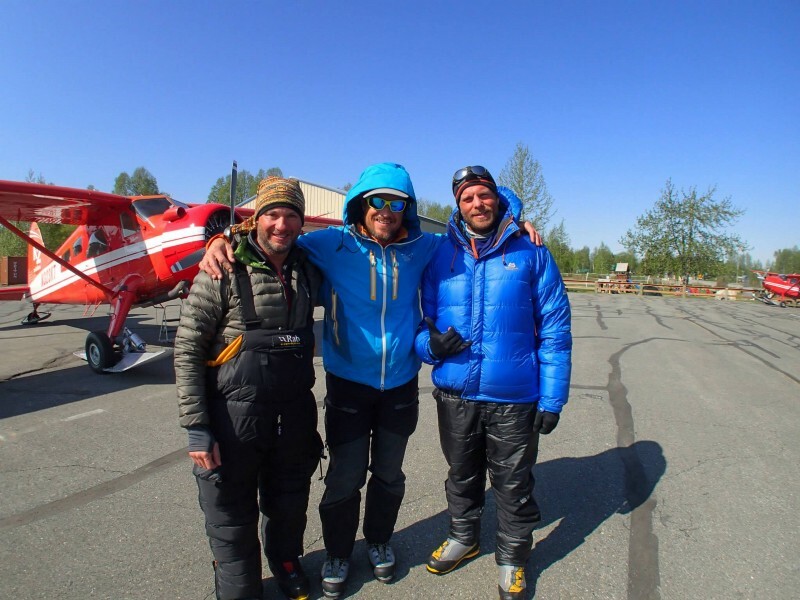 This is a video my good friend Kevin put together of the entire Denali Expedition. After a few weeks exploring Alaska and then Puerto Rico where I met up with Alejandra for some much needed beach-side R&R we headed home and over the next few weeks I couldn’t get Denali out of my mind. 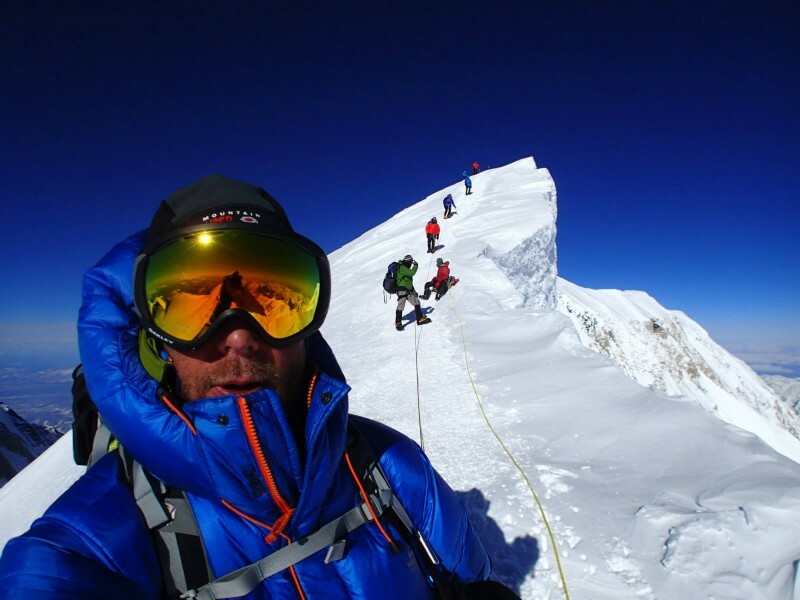 This entry was posted in McKinley 6194m and tagged alaska, Alpinism, Alpinist, Climbing, denali, mckinley, seven summits, USA.